Invite curiosity and intrigue in this t-shirt, which depicts RMS's four software freedoms in mirthful cartoon form. 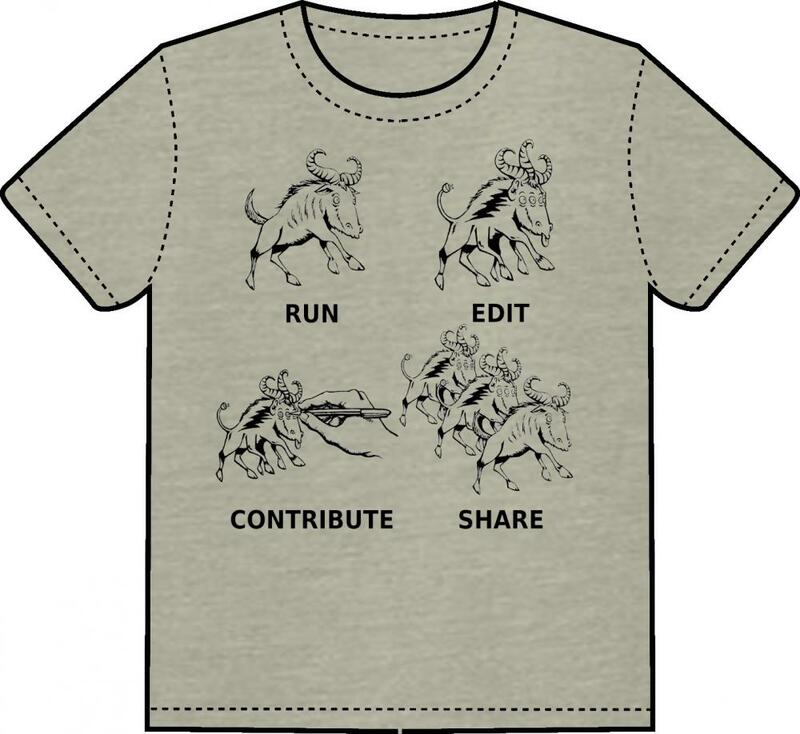 Initially available only as a member premium during the 2017 Annual Fundraiser, this witty garment is now available to anyone who has ever wanted to propose improvements to the wildebeest. The shirts are manufactured by Bella Canvas, which is WRAP-certified, meaning they comply with ethical, health, and safety standards in manufacturing.